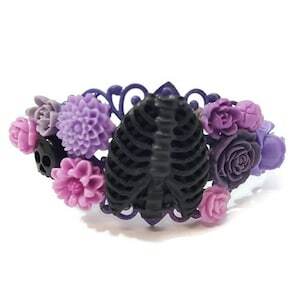 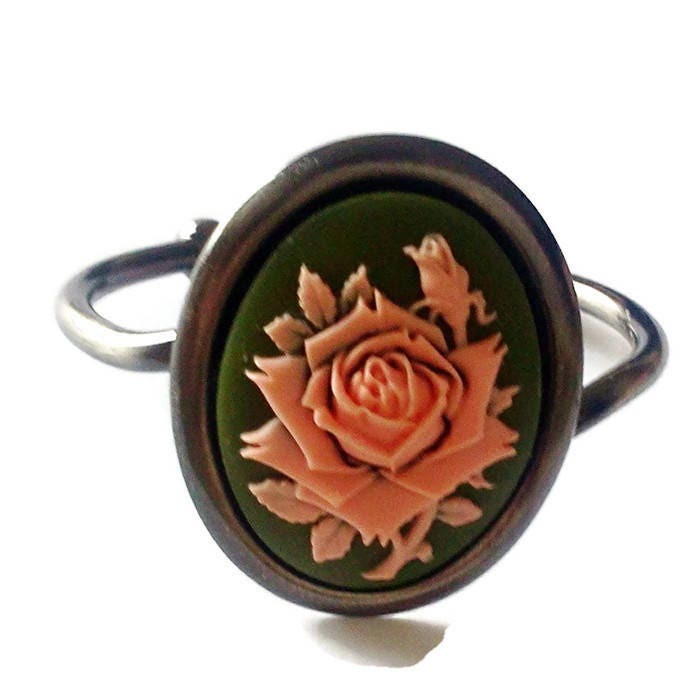 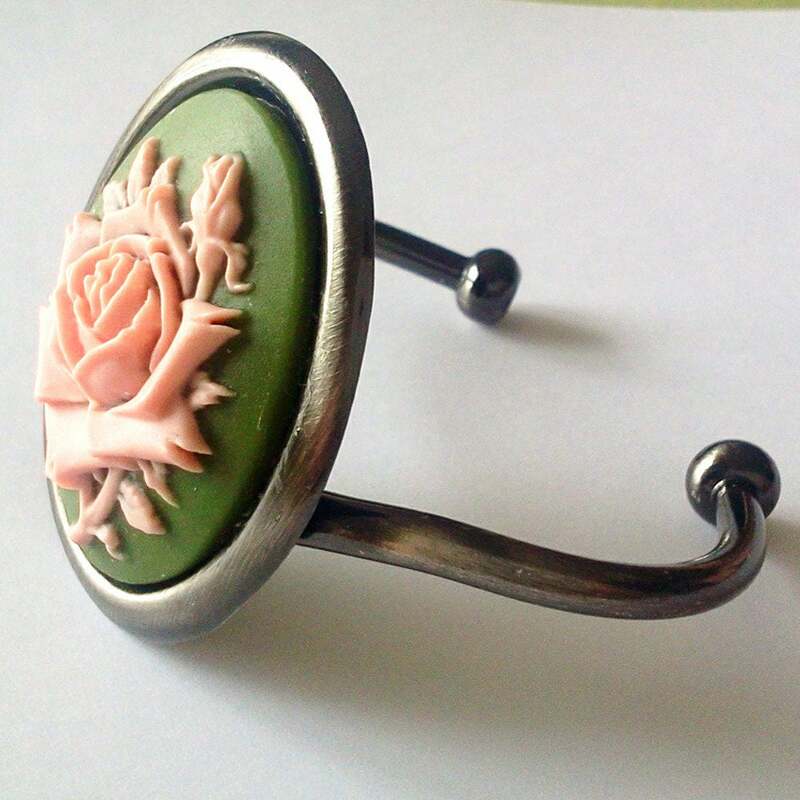 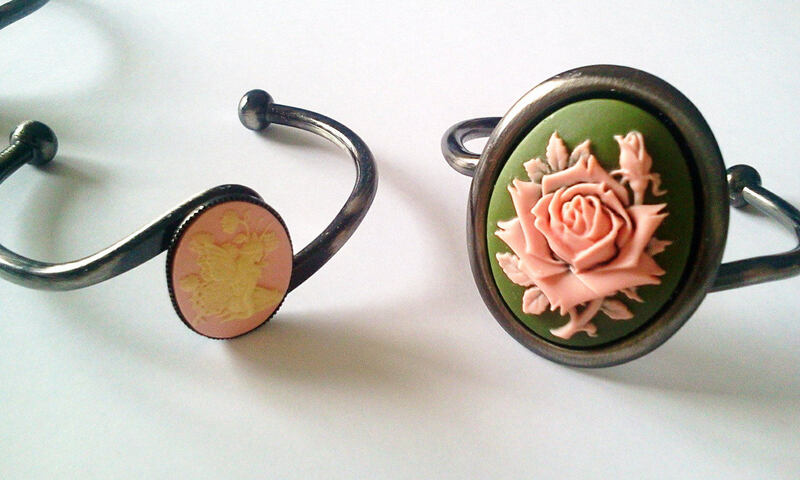 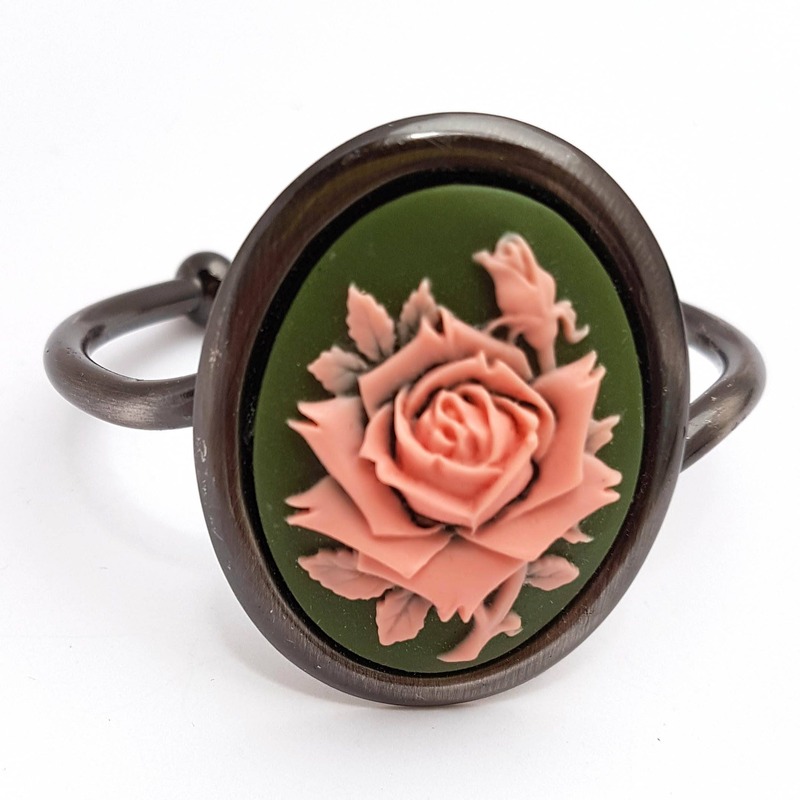 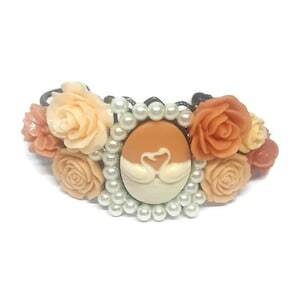 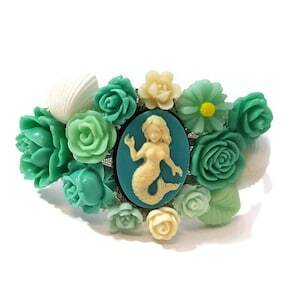 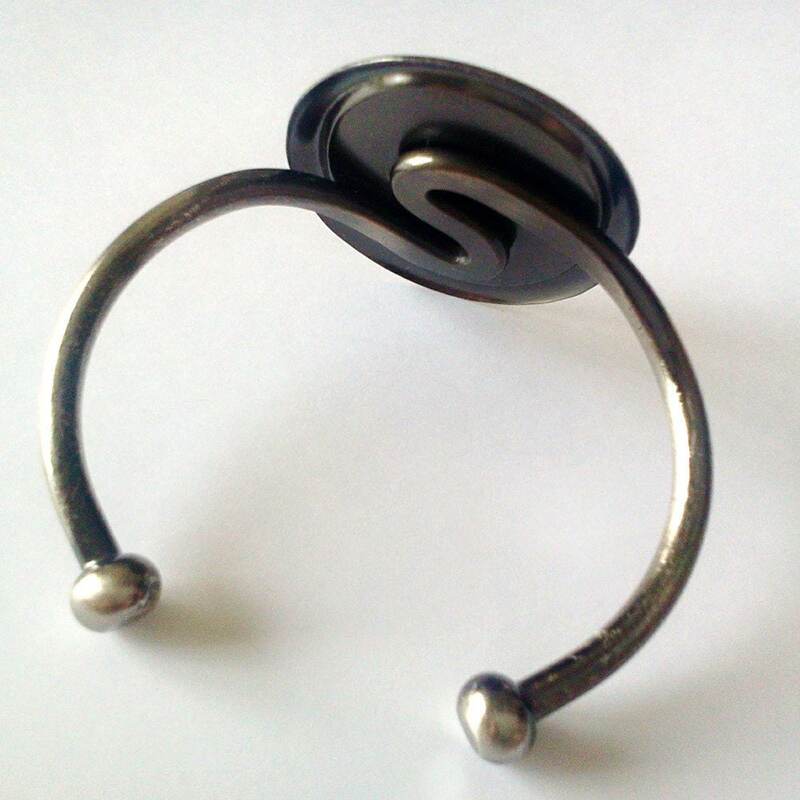 The cameo is attached to an gunmetal bracelet setting and is beyond awesome.It features a cameo of a beautiful rose. 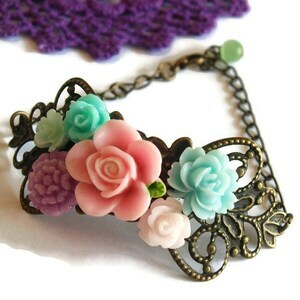 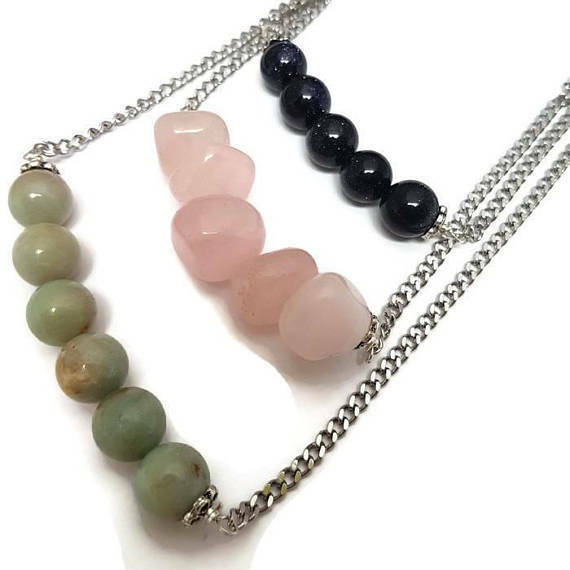 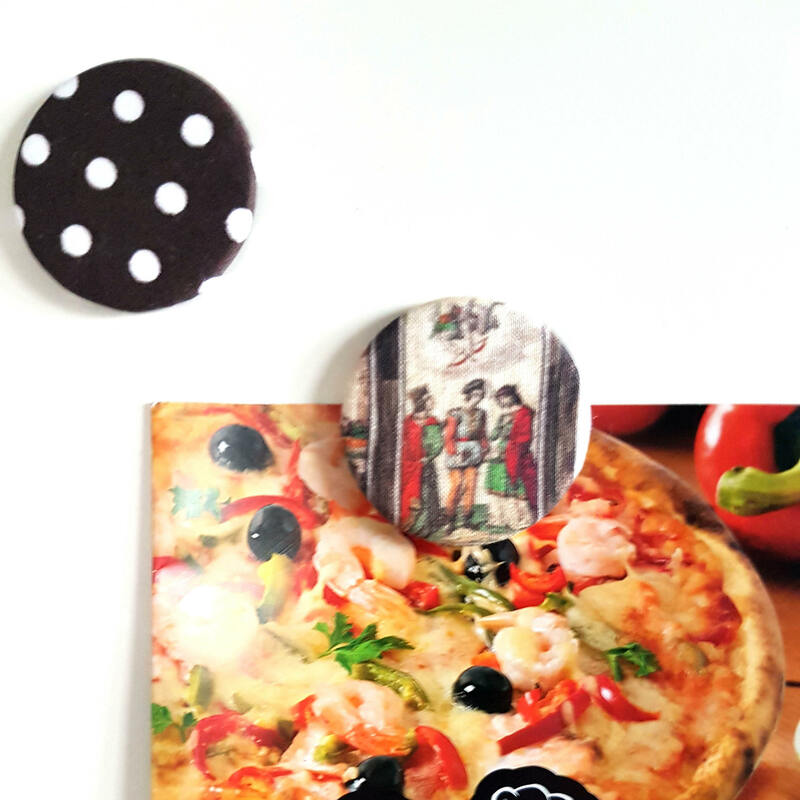 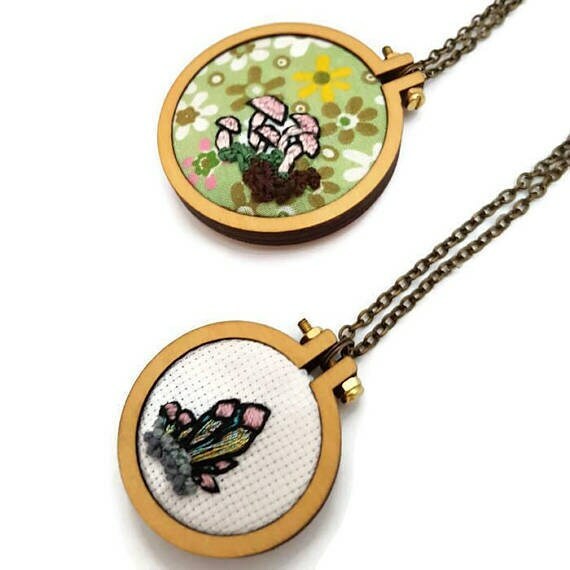 The cameo in the setting is a huge 2 inches 5cms and sure to make a statement! 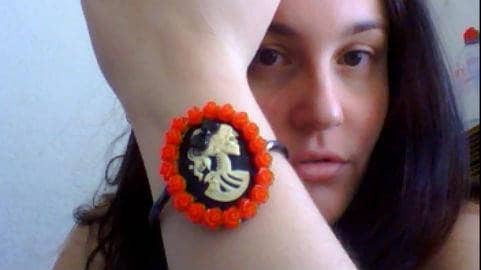 The picture of me wearing it is just to show what it looks like when worn and that I need to sleep more!.